WellSky Home Health Therapy (formerly Kinnser Therapy Manager®) is the industry-leading online service that delivers clinical and business results to successful therapy companies. Support quality care, improve communication, and increase income with this easy, real-time service. With WellSky, you can instantly communicate with therapists, office staff, and home health agencies via secure HIPAA-compliant messaging. Expedite workflow and streamline therapy visit management and tracking with WellSky. You will receive referrals electronically in real-time and be able to schedule therapy visits for an entire episode in just minutes. 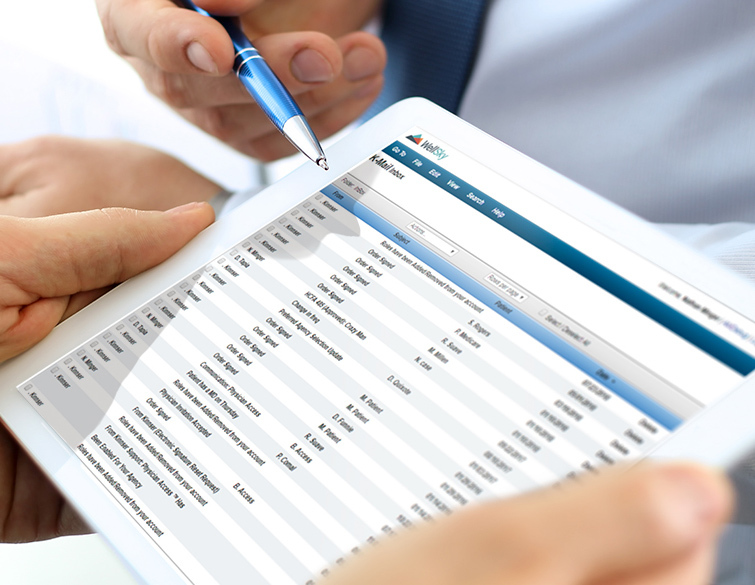 Input and review therapy notes and monitor episodes, and eliminate illegible documentation with our robust software. 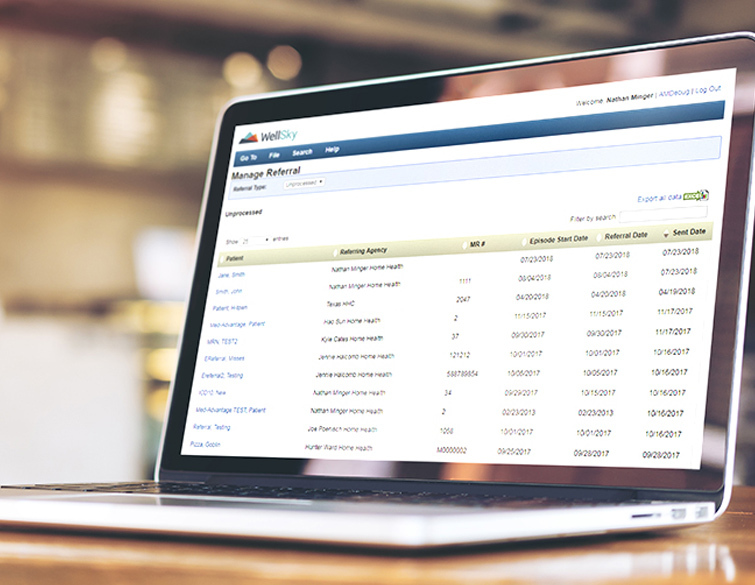 With WellSky, you will stay on top of your bottom line with robust reporting. 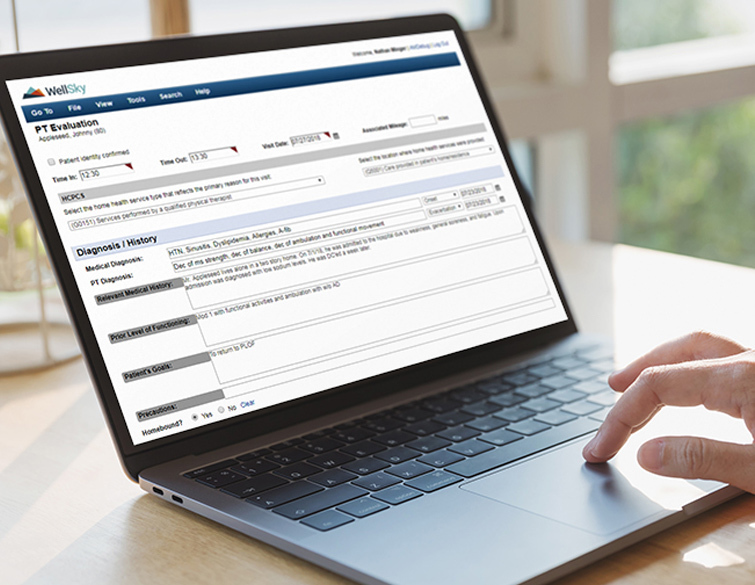 With WellSky Home Health Therapy, coordinate with home health agencies by sharing information, patients, and schedules in real-time with agencies that use WellSky Home Health (formerly Kinnser Agency Manager®). WellSky’s Home Health Therapy is accessible on all of your connected devices (tablets and laptops) so you can always be on top of what’s happening in your business. Add all the users you need for a single, affordable monthly fee, eliminating the need to buy or maintain servers. With no per user fees, support fees, or new versions to buy, you can easily budget without worrying about costly increases. 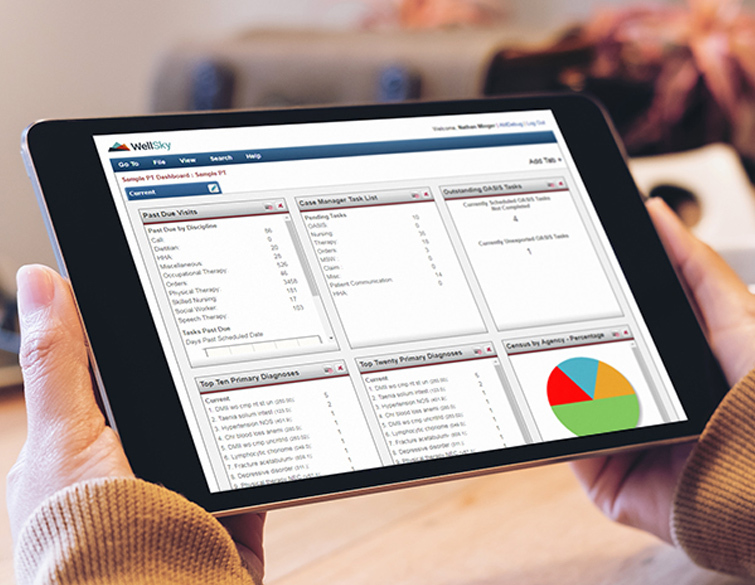 In the last 12 months, American home health agencies performed more than 34 million billable visits using WellSky Home Health. More than 4,500 home health, private duty, therapy, and hospice agencies use WellSky solutions. Across WellSky’s 4K+ home health and hospice customers, 200K+ daily tasks are completed, $11B+ Medicare claims are processed, 93M+ visits are scheduled, and 800K patients are served each year. Kristyn Gall, APRN, BC, NPChief Clinical Officer, Optimal Care, Inc.